The Fall 2017 Exemplar Wave (Wave #11) is live! The Wave 11 review is complete and the nominations are posted on Judgeapps! You can see nominations you gave and received here or use the search tool to see all the awesome things your fellow judges are doing; at home, at events, online, or in their community. Additionally, if you discover you cannot find a nomination that you wrote, that means it was deferred. We will be providing a personalized email explaining why the nomination was deferred. These emails will be sent in batches between now and the end of next week. 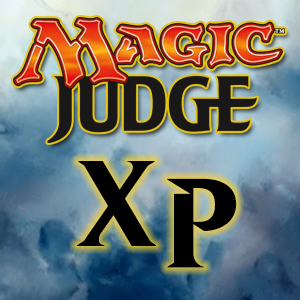 Your deferred slot will appear in Judgeapps for Wave 12 nearly immediately. One final thing, we will shortly be adding some text to the page where you submit Exemplar nominations. It’s overly formal sounding, but it’s meant to do two things. The first is to be explicit that Exemplar nominations are meant to be public. We publish them on Judgeapps, and soon we will be printing tokens with the same information. The second is that for a long time I’ve been wanting to put out a survey of nominations, where the judge community is asked to evaluate nominations using the same criteria as the Exemplar team, as an exercise to allow you to see the types of evaluations that we do. This would require publishing some nominations in that survey that had been deferred. We’ve held off doing that because it didn’t feel right publishing deferred nominations (even if the identifying information was removed) when people didn’t know that was a possibility. Well, that’s all for today. If you have any questions, please email exemplarprogram@gmail.com.